The Village People will not be playing in Branson during 2015. You won't want to miss seeing The Village People as they perform their chart topping '70s hits for a limited time in Branson, Missouri! 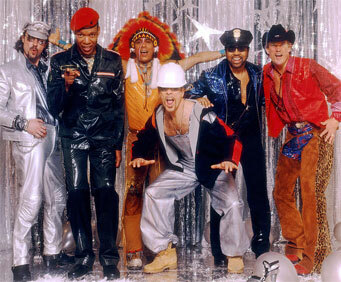 Join the members of the Village People as they perform all of their beloved and recognizable hits including "Y.M.C.A", "Macho Man", "In the Navy" and "Can't Stop the Music." Guests at the show will even have the opportunity to meet the members of the group after the show, as they sign autographs and take pictures in the lobby. The members of The Village People have been touring the world for over 30 years and are recognized for their show-stopping performances. The group will bring a family-friendly show to the stage, so bring the whole family out! Do not miss this once in a lifetime show that you will be talking about for years to come!